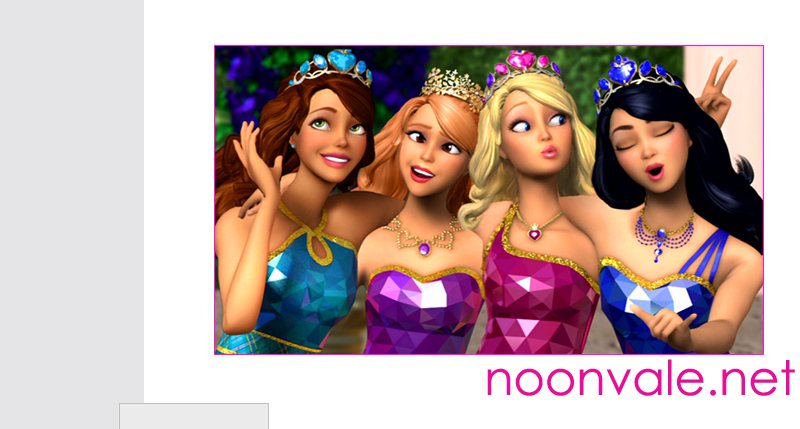 Enchanted Castle is my fansite dedicated to Disney and non-Disney animated Princesses. It actually began as a personal website I made with my little niece and my boyfriend, and has gone through several name changes as well as subject changes, but I've since made it specifically for princesses. It is dedicated to my little nieces. I actually am planning to specifiy the subject further and make it a large media fansite as well as make it have background information on the princesses. After seeing Barbie as Rapunzel, I fell in love with Barbie movies. The characters, settings, stories, clothing, everything is absolutely beautiful. I could relate to several of the characters and never get tired of the imagery. After watching Barbie in the 12 Dancing Princesses, I decided that this movie deserved a fansite for it's beauty and story, especially since I don't know too many Barbie fans. Thankfully through the interest in this movie I got to meet some of my best online friends! After some time, I decided to include all of the Barbie movies, since I really love them all, and changed Fairytale Dance to Fairytales. This is my website dedicated to the Disney masterpiece, Beauty and the Beast. I began this website at the suggestion of my boyfriend and I'm very glad he did suggest it. I've met many wonderful friends through this website and many who share my love for this movie. This is also the reason why I have a domain today. I was planning on keeping my websites on a free host, but there were many difficulties, especially with a large gallery for this website, so I bought a new domain and here we are!